The University of Luxembourg is a multilingual European research university with nearly 6,200 students from all over the globe. Our university is a modern institution offering a unique mix of international excellence and national relevance, delivering knowledge for society and businesses. The University of Luxembourg is ranked number 193 in the Times Higher Education (THE) World University Ranking 2015-2016. With a unique selection of multilingual Bachelor’s and Master’s programmes, the Faculty of Language and Literature, Humanities, Arts and Education offers innovative and attractive perspectives for the next generation of academics and professionals. Students benefit from small class sizes and many courses are taught as seminars. which provide students with the opportunities for discussion and help them to get the most out of their learning experience. There are no additional tuition fees for international students (the enrolment fee for Master’s students is € 200/semester). Our international teaching staff is one of our key assets. Most of our degrees are taught in English and/or French and/or German. Free language courses are offered and campus life is as multilingual and multicultural as is the country of Luxembourg. Students gain insights into different academic cultures and get a degree that provides them with clear advantages on the job market. Student mobility and cultural openness are encouraged and promoted at the University of Luxembourg. All our undergraduates have to spend at least one semester abroad at one of our partner universities in Europe, North America or Asia. 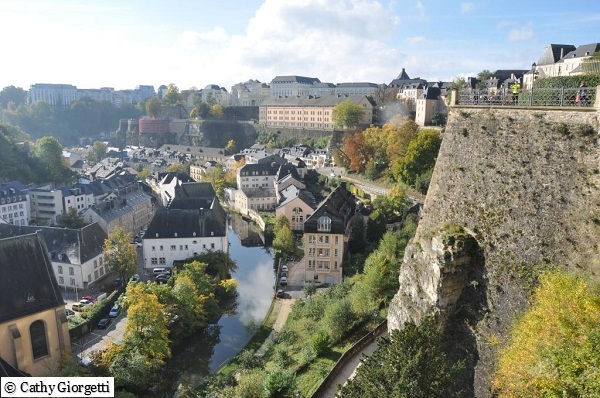 Luxembourg, the second smallest member state of the European Union, is a truly multicultural and multilingual country with 3 official languages and home to over 170 nationalities. The city of Luxembourg boasts a vibrant cultural and art scene including museums, theatres and music venues. The city of Luxembourg is one of the safest capitals in the world. The Faculty of Language and Literature, Humanities, Arts and Education is situated on Belval, a former steel industry site, just a few km outside the city of Luxembourg. The huge site brings together academic research and teaching, work and leisure, urban living and culture and is an exciting place to work, study and live.